In my personal opinion, I have found Hootsuite to be by far the best Twitter client out there. I’m sure a lot of people can make an argument for clients like Tweetdeck and Seesmic, but I find Hootsuite to be the most user-friendly, feature-rich, and up-to-date Twitter client available. The interface is clean, customizable, and includes a wealth of information about your twitter account. 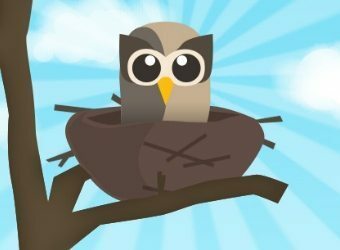 Let’s take a detailed look into how Hootsuite can be used to manage your daily engagements for both personal and business use. I use Twitter primarily for business, however some personal use. I like to be able to see the people I am following are tweeting about, find industry related news, read/reply to people connecting with me, and send updates to people following me. Monitor Followers Tweets: Watch in real-time as your Twitter followers add new tweets to their account. See what people are doing, content they are promoting, and people they are talking about. Send Updates to Users Following: Keep your account active, by updating your status, promoting content and interacting with your friends and followers. Scheduling Tweets: Probably the most important feature I love about Hootsuite, is the ability to schedule when you want your tweets to go out. Sometimes you will want to promote a piece of content during peak hours, so you can schedule it during that time. You may also want to spread your tweets throughout the day so your profile seems to be active during the whole day, not just for 10 minutes a day. Keyword Monitoring: Keep track of industry specific keywords that you want to monitor. This can help you find users to follow, reach out to, send special offers/promotions, and follow industry news. View User Info: Click on the users Twitter handle to see their profile including followers/following statistics, location, brief bio, and latest updates sent by the user. For businesses that would like multiple users to contribute to managing their Twitter account, Hootsuite allows you to add users to the account. 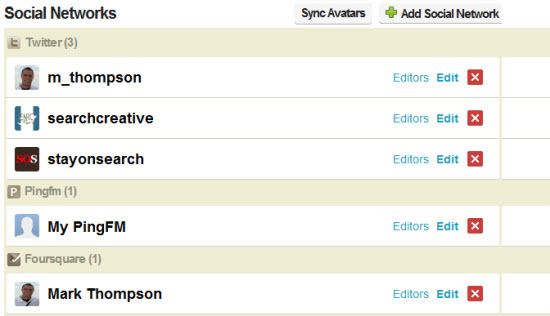 This will help manage multiple users across multiple accounts. Here is the real power of Hootsuite. 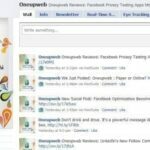 Using the social network syndication tool, you can send out mass updates to ALL of your social media profiles. Using the Ping.FM integration, you can send an update to Ping.FM and then from there it will update all of your profiles. You can also update multiple twitter accounts with the same update status. Feed to RSS: Hootsuite allows you to add RSS feed to your account, so that whenever a new blog post is added, it will send an update through your Twitter account. Especially if your organization contents a lot of content, it can really help cut down on not having to manually submit new content to your twitter account. Hootsuite adds tracking urls to each tweet you send out, so you are able to track data on your links. Find overall statistics like seeing how many daily clicks you received from all of the tweets you sent out during the day. See where in the world your clicks and followers came from. See your top referrals by clicks. Break down each tweet to see which tweets received more clicks and exposure. This can help you gain some insights into what type of content your followers like to share. 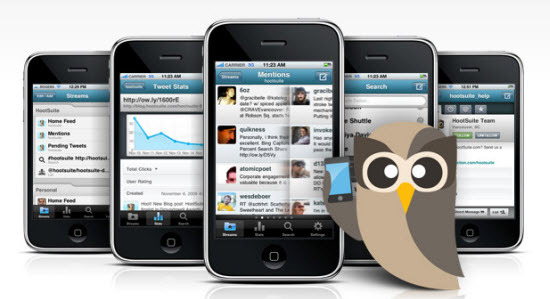 Hootsuite recently developed an iPhone Application that you can use to keep up-to-date with the Twitter community while you are away from your home computer. Take advantage of all of the rich features the browser application contains from your Apple iPhone. 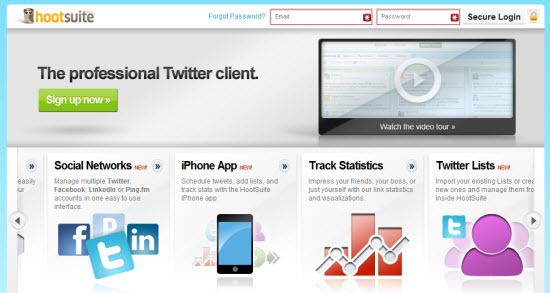 If you would like to see a demo of the Hootsuite application and its features, watch the video.